The fourth year of Team Limerick Clean-up – it’s as easy as 1, 2, 3! “MY boy and my little girl are working away out in Annacotty, so I’ll be going to help them after we finish up here,” said rugby legend Paul O’Connell at the opening of TLC4 last Friday. And that’s what Team Limerick Clean-up is all about. Families, friends, adults and children, all working together for a common cause. “It’s a very simple idea, it’s just a few hours, and it’s all about teaching good habits. 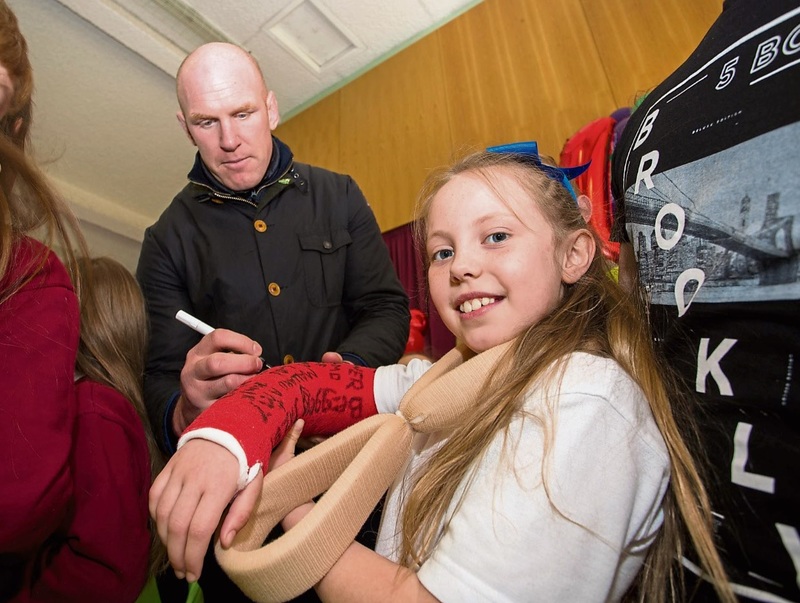 It’s been a really big success, and we’re lucky that we get so much support,” said Paul, the ambassador for the event. And it certainly was a very Good Friday. An incredible 18,500 people took to the streets to clean up their localities - from the city streets to the farthest-flung corners of the county. Team Limerick Clean-up is said to be one of Europe’s largest one-day tidy ups, and it is certainly Ireland’s biggest one-day anti-litter push. This year saw hundreds of locations around the city and county tackled by teams of children, businesses, local resident groups and sports clubs. The participation in 2018, the fourth year of the initiative, increased by 2,000 people since last year’s event. JP McManus said that the social aspect to the day is very important. “I’m very proud of it. It’s much more than the clean-up, there’s a great community spirit. Thousands of people go for a cup of tea and a hot cross bun afterwards, which adds enormously to it. “It’s people getting together, meeting, making friendships and going from there. You never know what relationships would develop from a day like it,” he said. Sponsored by the JP McManus Benevolent Fund and administered by Limerick City and County Council, TLC is endorsed by O’Connell. 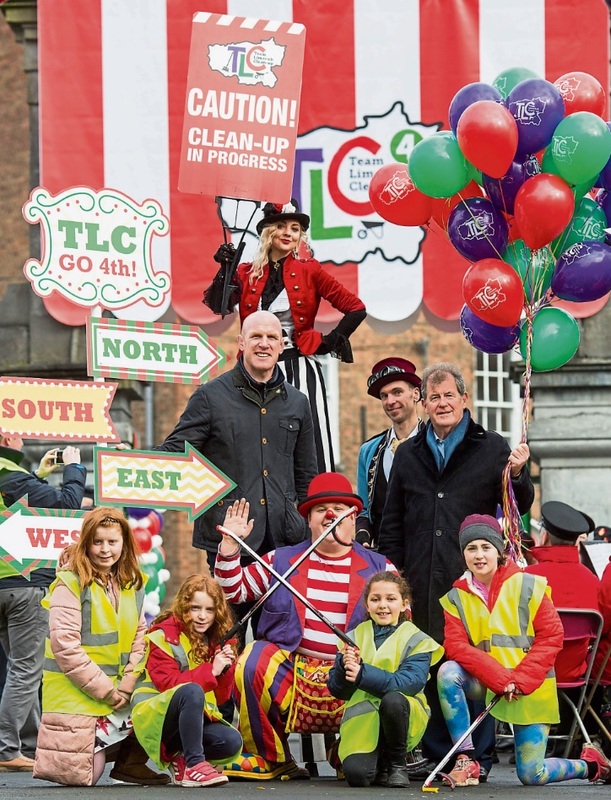 The Limerick Leader is joined by Mr Binman and Limerick’s Live 95FM as official partners for the fourth, very successful, year. Helen O’Donnell of Limerick city Tidy Towns said that the day of cleaning up is “exciting and amazing”. “Over 18,000 people out, all over the city and county. I just hope it’s not for one day, it’s for lots of days. They have pickers, they have high-vis vests – go out and use them every month. “If everybody does their own piece, it’s just like one big jigsaw,” she added.